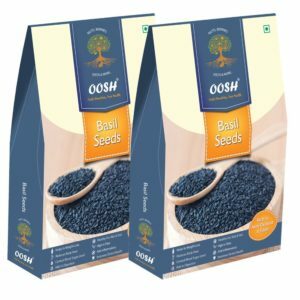 Amazon is here with a great deal offering OOSH Basil Seeds | Tukmariya | Sabja Seeds at Rs 521. Basil seeds, are also known as Takmaria or Sabja seeds. The basil plant has a strong, pungent and sweet aroma . Grab Now..!! How to Buy OOSH Basil Seeds | Tukmariya | Sabja Seeds?